^ 3.0 3.1 苏贞昌. 民主進步黨簡介. 民主进步党中央党部. [2016-07-26]. （原始内容存档于2016-08-16）. ^ 民主進步黨-綠色執政品質保證. 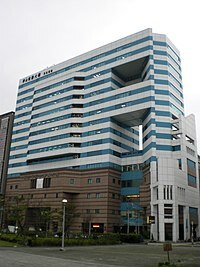 Dpp.org.tw. [2017-05-23]. （原始内容存档于2017年6月27日）. ^ 游主席：回歸進步主義 實踐創黨價值. 民主進步黨官網. （原始内容存档于2017-12-01）. ^ 綠「逢中必反」民調四成不滿. 蘋果日報 (台灣). 2014-03-14 [2014-03-14]. （原始内容存档于2014-03-14）. ^ 自家民調／民進黨逢中必反 4成民眾最不滿. 聯合報. 2014-03-14 [2014-03-14]. （原始内容存档于2014-03-17）. ^ 與國民黨最大不同？蔡英文：鞏固國家主權 - 自由電子報. News.ltn.com.tw. 2016-12-19 [2017-05-23]. （原始内容存档于2017-01-26）. Hwang, Ching-chane. 1995. Entrepreneurial Theory of Opposition Movements in One-party Dominant Quasi-democratic Countries. Ph.D. diss., University of Maryland College Park. Rigger, Shelley. 2001. From Opposition to Power: Taiwan's Democratic Progressive Party. Boulder, Colo.: L. Rienner Publishers.